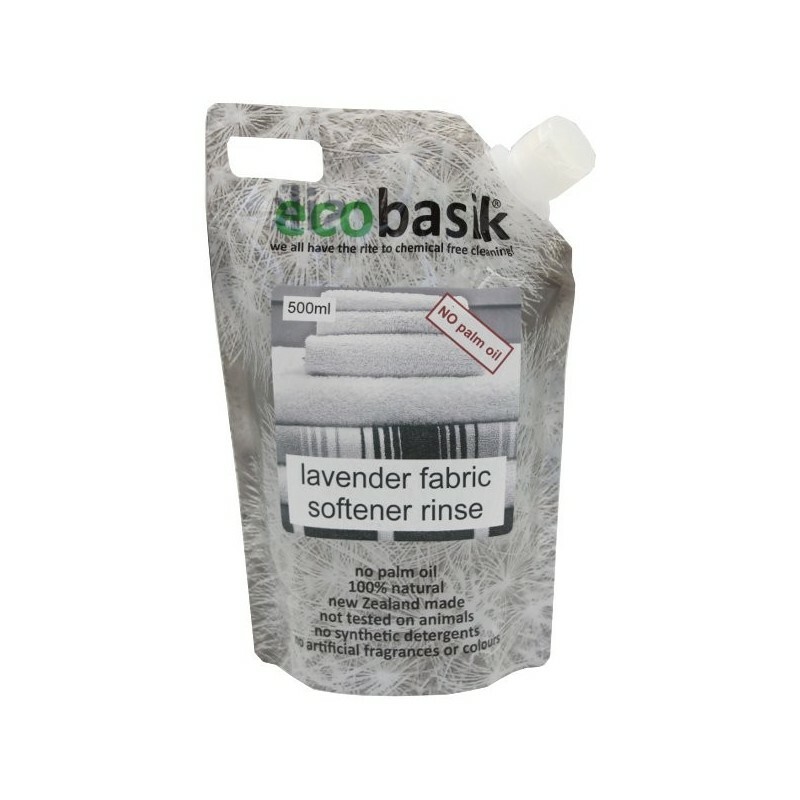 A pure and simple palm oil free lavender fabric softener, designed to wash away soap residue and leave washing soft and fresh. 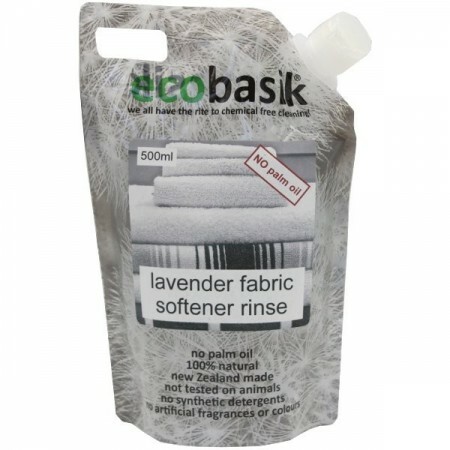 Also great for removing soap build up from washing machines as you go. Free from synthetic detergents, colours and fragrances. Packaged in a recyclable pouch. 500ml. Only for purchase in store. Pouch packaging designed to be reused or recycled. Leaves washing and machine soap free. Grey water and septic tank safe. White vinegar, sodium bicabonate, lavender essential oil.